Here once reigned “sea oxen”, as the locals used to call monk seals due to their tapered shape and tame behaviour like that of an ox. 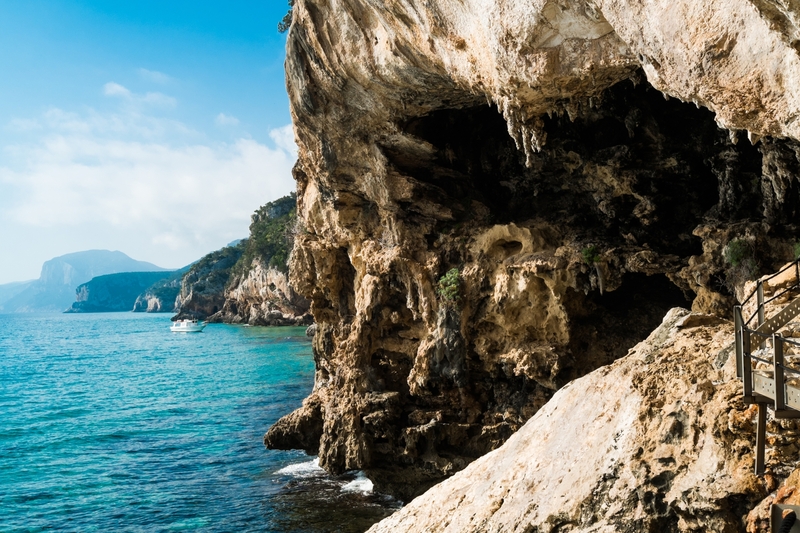 These magnificent mammals, now (maybe) extinct, gave their name to a marvel of nature: the Sea Oxen Grottoes (Grotte del Bue marino), since the 50’s one of the main attractions of the Gulf of Orosei, in particular in Cala Gonone, in the Dorgali territory. 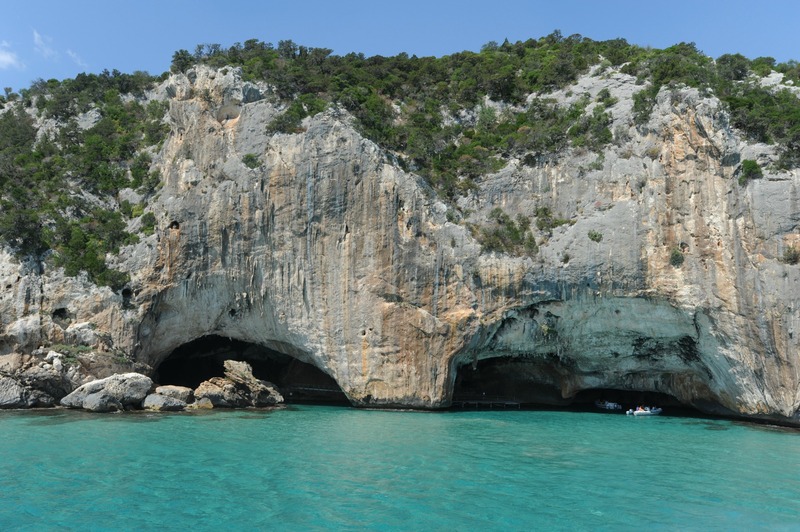 Today they are a favourite destination among nature lovers, and the ideal union between sea and mountain: they are part of the karstic system Codula di Luna, Italy’s largest, seventy kilometres of tunnels in the bowels of Gennargentu. 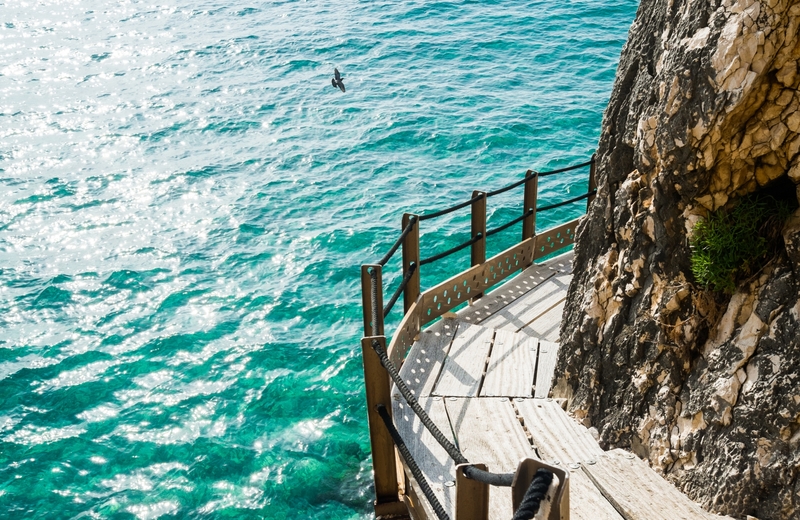 Its majestic entrance, formed by two arches over the sea, is located three kilometres away from splendid Cala Luna. 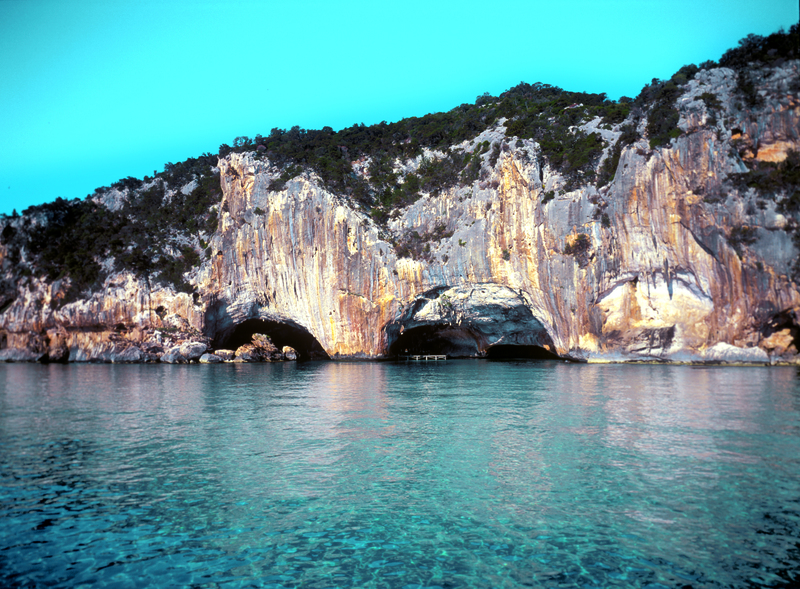 The marine caves are 15 kilometres long in total, and divided in two main branches. The northern branch, fossilised due to the interrupted karstic activity, is not accessible to the public. However, you can visit the southern branch thanks to illuminated causeways, for about 900 metres. Speleologists are allowed to explore an additional four kilometres (of the overall 5 of this branch). Seawater penetrates the wide hall, and countless little ponds of sweet water from subterraneous rivers abound, separated from sandy beaches filled with concrete formations. The “tourist” itinerary among stalactites and stalagmites offers an extraordinary colour spectacle, thanks to the light beams that penetrate it. You cannot help but gasp in awe at the long shadows projected on the waters of a subterranean saltwater lake, with more than one square kilometre of surface. The cave is also famous for esoteric rock paintings, dated back to the Neolithic, illustrating a circle of people around what is supposedly a representation of the sun. The walk finishes in the seal beach – these sea mammals once came here to mate and have their cubs. The visit is led by expert guides and lasts about one hour. 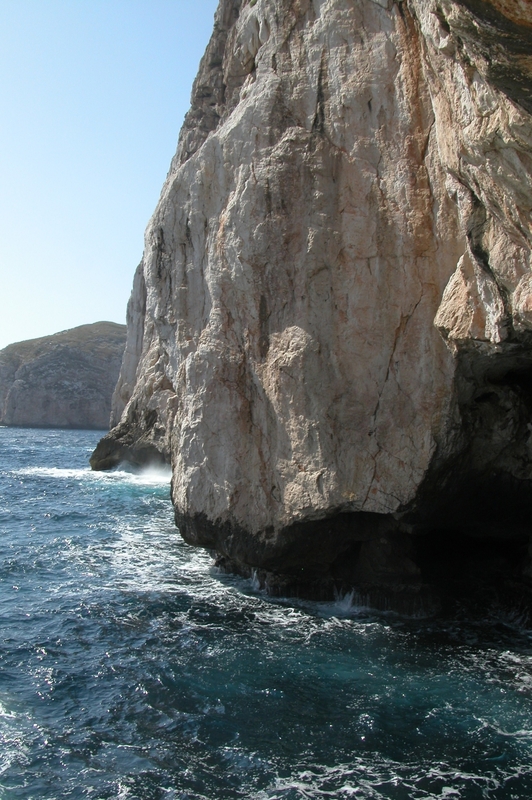 To reach the grottoes, use boat services leaving from Arbatax, Cala Gonone, La Caletta, Orosei and Santa Maria Navarrese. Another unique attraction of the place is the yearly celebration, inside the grottoes, of a spectacular concert as part of the Cala Gonone Jazz festival. When visiting the Gulf of Orosei, do not miss the chance to visit the magical world of Dorgali: history, archaeology, manufacturing arts and natural heritage in 225 square metres.